1. I read the Primal Blueprint and one tenet is Move Frequently at a Slow Pace (i.e. heart rate 50-75% of your max) and decided I agree because it will be a pure fat burner and will be my "active rest"
2. I'd rather walk 0-3 miles to my destination than drive my car, at some point I will bike distances less than 6 miles but this is the start to using my own power to get me places (the grocery store is 1.2 miles from my house, I should definitely walk there with a backpack, this might prevent me from getting a 12 pack of Diet coke also or at least I'll have to lug it all home if I do). 3.Walking is fun, you get to see things you never noticed before in your town and it's better than wasting my time on Facebook. 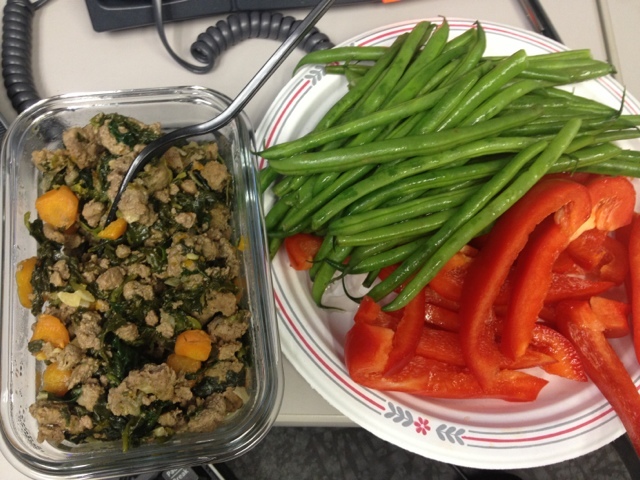 Ground beef with spinach and carrots with raw green beans and 1 red bell peper. This was pretty tasty. 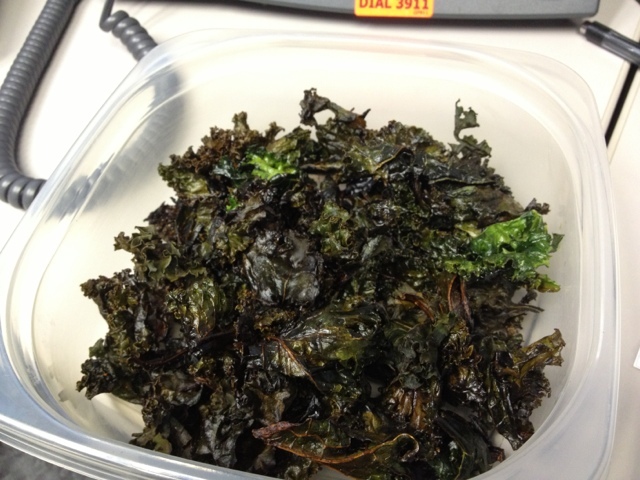 Snack of the day: Kale chips! 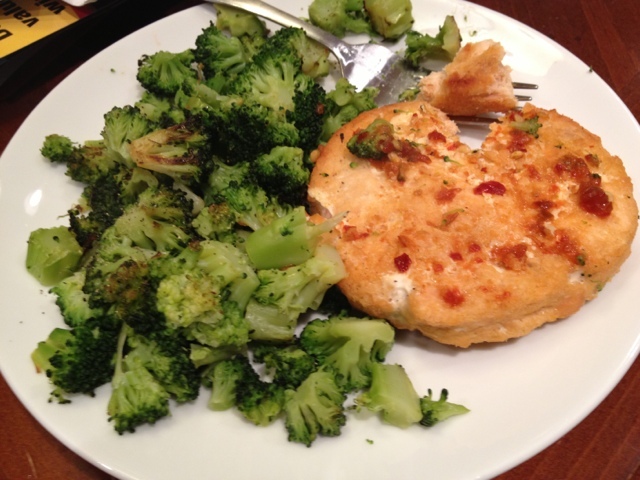 Dinner: 1 Wild Alaskan Salmon Burger (Costco) and organic brocolli with hot chili sauce, baked in my toaster oven. Easy to prepare and super healthy. 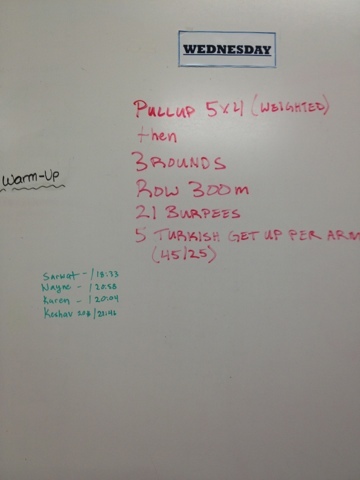 01-17-13 Thursday WOD and Deadlifts! 01-12-13 Saturday: Hike and Bike in the 70s! 1-1-13 A New Year's WOD: Biking!